Spores ripen May-October. Evergreen. Native. Forms dense tufts, often with dead stalks (rachis) present. 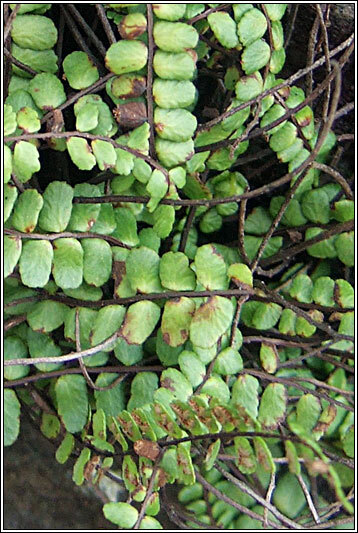 Dark-green fronds are narrow, long, once pinnate. 5-30cm long. Segments (pinnae) more/less equal-sized, broad oval or oblong. Long, narrow sori. 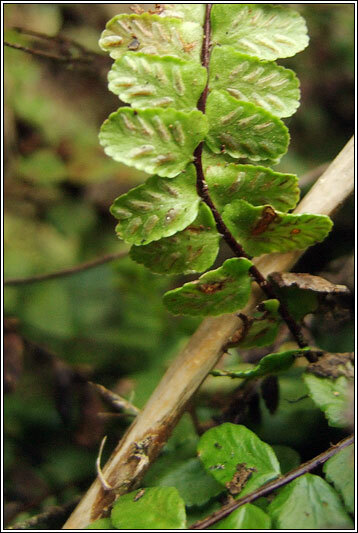 Wiry black leaf-stalks and rachis. 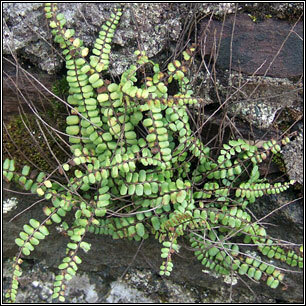 Throughout Ireland, very frequent on rocks and walls. 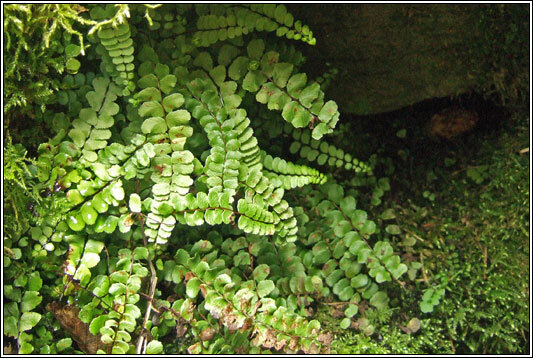 Similar: Green Spleenwort, A. viride. Green stems and stalks. Lime-green, rounded pinnae. Mountain crevices, mainly NW Ireland.